My 2019 Update Thread - My final system I think. Thread: My 2019 Update Thread - My final system I think. Busy posting on his Oppo 203 mod thread! Quiet new year at home (thru choice) so catching up with all things AOS. Hmm, Gaz must be saving up the Grand Disclosure pic for his 7,000th post. With its own dinky speakers. Thanks to modern technology they are designed to sound best sat on the floor behind the couch, possibly with a vase full of flowers on them. Might even sound half decent given a (re)listen! Last edited by Gazjam; 31-12-2018 at 22:16. No, it would be shockingly poor - but we knew no better back then and thankfully good music does not need hi-fidelity in order to work its magic. That music centre certainly brings back some great memories. He added an additonal pair of speakers, Wharfedale Dovedales I think they were. 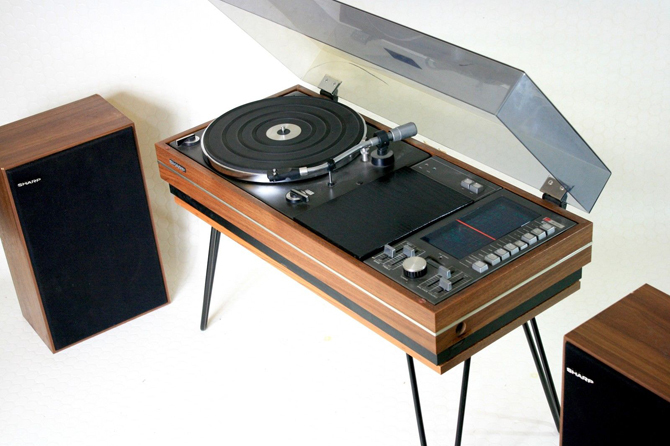 ....or you could have had a Hacker, with (matching front) extension amp to make it stereo. 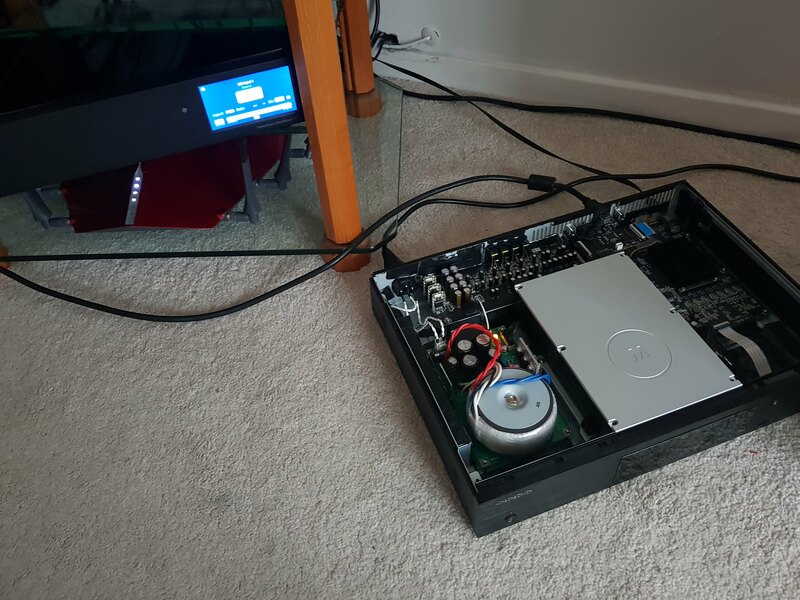 Enjoyed my M2Tech Young Dac for a good few years, was an upgrade to my Rega dac I had at the time. Before that it was a couple of Stan Beresford dacs. 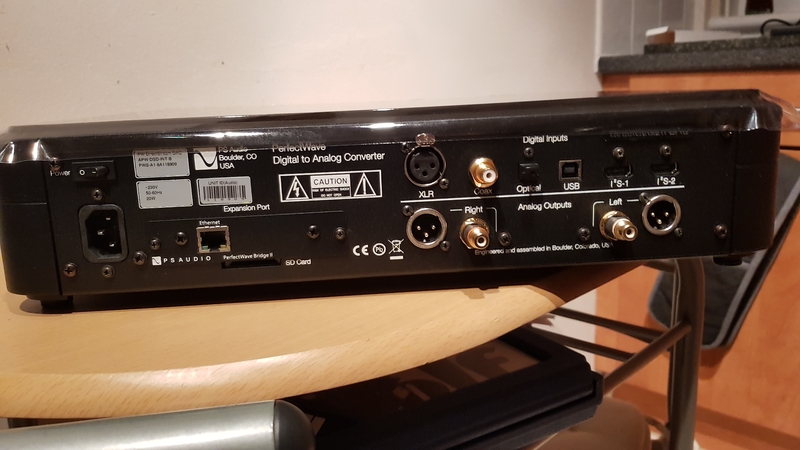 Sold the Young here and bought a PS Audio Directstream, great sounding bit of kit and unusual in that it runs from an FPGA, not a traditional Dac chip. As such, its software programmable and its creator Ted Smith writes new improved firmware which PS Audio gives away for free. All the connections you could ever need, including a direct ethernet input, which lets you use it as a streamer for Roon, Spotify etc. Big deal for me here was I had fitted an i2s output board to my Oppo 203, which lets me use the dac's best sounding connection. Here's me testing the output into the dac - all good. With the free software upgrades which get more and more out the dacs hardware this one will see me out, no desire to change love how it sounds. Nice looking DAC but it does annoy me when DACs only have one example of each type of digital input. I want multiple co-ax and TOSLINK inputs!! What's so hard about that?